Looking foods to control diabetes? Before jumping on to the list of foods, let’s first get an overview of what diabetes is? Diabetes commonly known as sugar in India, is a condition in which the glucose (sugar) level in blood rises beyond the normal level. American diabetes association says that the normal blood glucose level ranges between 70 & 130 mg/dl before meals and less than 180 mg/dl after you began eating. This disease can be categorized as type 1 and type 2 diabetes. Type 1: Around 5 to 10% of people who have diabetes have type 1 diabetes i.e, their body destroy the cells that release insulin (a necessary hormone to control blood sugar level. Type 2: This is the most common type, around 90 to 95% of people who have diabetes have type 2 diabetes i.e, their body either resists the effects of insulin or doesn’t produce adequate insulin to maintain a normal glucose level. In India the number of diabetic people are increasing. In fact people are being introduced to this condition even at an early age of 30 to 35. Diabetes can be tackled down even without medication, by making a change in one’s lifestyle & nutrition. Eating right and exercising is a key to good health, this concept also works in fighting diabetes. The best medicine to fight diabetes is exercise and a diet that can well control the glucose level in blood. The ideal foods for diabetic people are whole grains and dietary fiber that are not processed such as fruits, vegetables etc. Whole grains are rich in fiber vitamin and minerals. Dietary fiber makes you feel more satisfied and helps with digestive health. So now let’s get to the list of super foods to control & prevent diabetes. Be it peanuts, almonds, cashews, walnuts , hazelnuts or brazil nuts, all types of nuts are rich in fiber and low in digestible carbs. Nuts can be a great source to lower glucose levels in blood in type 2 diabetes. Incorporating nuts into the daily diet of diabetic people will be extremely beneficial. 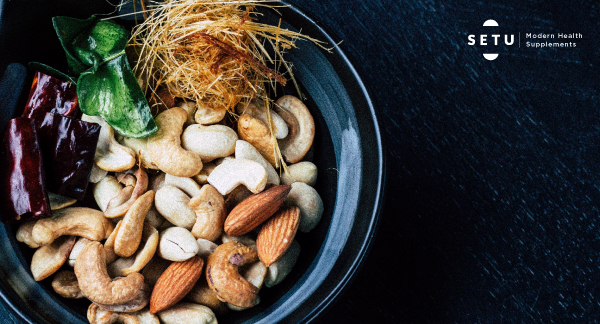 A handful of raw nuts is recommended as a snack option at any time of day for people having diabetes as well as to people desirous of good health. Green vegetables are truly nutritious and great source of several vitamins and minerals. 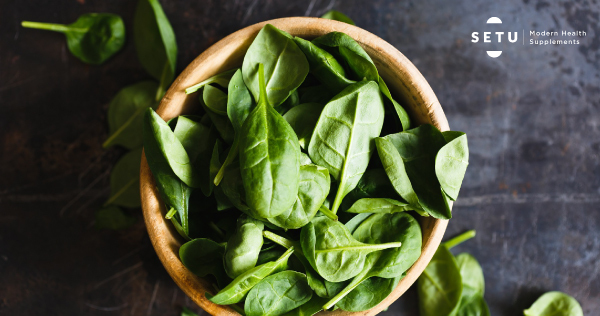 Lettuce, kale, spinach and all other leafy greens contain several vitamins and minerals. Increasing the intake of vitamin C helps in reducing fasting blood sugar levels. So it is recommended to consume atleast one type of leafy greens vegetables at every meal. Further there are many other benefits of leafy greens such as they are a good source of antioxidants which is great for eye health. 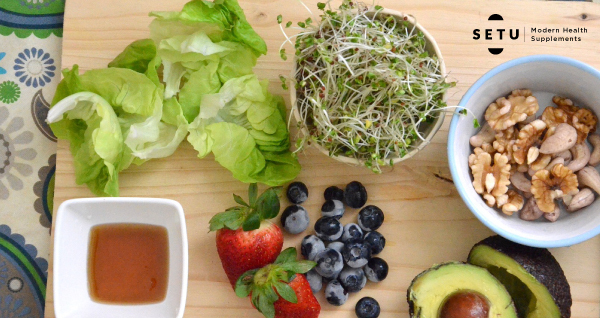 These small foods are wonder foods for diabetic people. Whether we talk about chia seeds, flax seeds or sesame seeds all carries high amount of fiber, which makes you feel fuller for long and lower blood glucose level by slowing the pace of food during digestion. These seeds are super low in terms of digestible carbs, which raise blood glucose level and improves gut health. These seeds can be consumed raw at any time of the day or can be powdered and sprinkled over eggs, yogurt or to any of your favourite meal. It is highly recommended for people having diabetes. You must be wondering now, what the hell is a low sugar fruit. Nobody can deny the fact that fruits are great option for anybody’s diet. But when it comes to a person having diabetes a little care should be applied on selecting the fruits to consume. Fruits contains natural sugar, but some are too high in sugar for a diabetic people to consume and should be avoided. Foods to avoid: oranges, grapes, raisins, pineapple, apricots. Fruits to eat: Fruits such as blueberries, raspberries, blackberries, strawberries, cranberries, pears, melon, cherries, grapefruit and apple can provide protection against diabetes by lowering LDLs. So diabetic people get your hands on fruits with a little care. Greek yogurt is ideal dairy option for people having type 2 diabetes. People having type 2 diabetes can lose weight and improve the composition of their body with the help of greek yogurt and other low fat dairy products. These products supports healthy blood sugar levels and aids in weight management. Probiotics yogurt promotes healthy immune function. Low fat dairy products are often high in protein,vitamins and minerals. So it is recommended to consume atleast one serving everyday. But it should be kept in mind that you consume low fat dairy products without having added sugar in it. Foods to avoid: high fat dairy products such as whole fat milk, butter, cheese etc. Whole grains are foods that are high in complex carbs(starches). These are a type of foods that our body converts into blood glucose and are the healthiest as they breakdown into the blood stream slowly and also maximize nutrition. At least one serving of whole grains should be taken at every meal. Foods to eat: Brown rice, whole grain/wheat bread, whole wheat roti, oats, sweet potato, quinoa, millet etc. Foods to avoid: white rice, white bread, white potato, refined atta, white naan, packaged snacks etc.